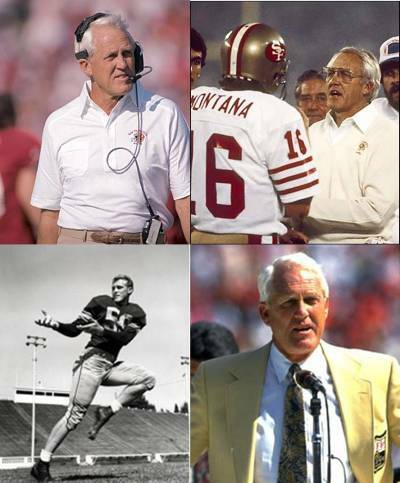 I grew up in the Bay Area in the 1980s, so Bill Walsh is the first coach I think of when it comes to the San Francisco 49ers. He will be greatly missed. He received both a bachelors and masters degree in Physical Education from San Jose State in San Jose, CA. His Masters thesis was titled Defensing the Pro-Set Formation. More facts about Bill Walsh at Wikipedia.org. previous post: The Simpsons Movie Is Finally Here! However, it beat having to listen to another news item about Paris Hilton, Nicole Richey or Lindsay Lohan. So adios Bill! Hope you had a few wild times in the old locker room before you left us! Thanks for all the great games you took part in. God bless you and your family, Bill. Rest in peace. 51 queries in 0.648 seconds.